#ロストワールド (lost world) - 3-Months Consecutive Live-Limited Single Releases + Samples | VKH Press – J-Rock & Visual Kei Coverage Worldwide! Starting on April 7th, #ロストワールド (lost world) will be releasing a new live-limited single each month until June 2016! Their first CD is entitled あくろのみやこ (akuro no miyako) and costs 1300 yen. It will come with three tracks. Below, you can watch a video with song samples, so check it out! 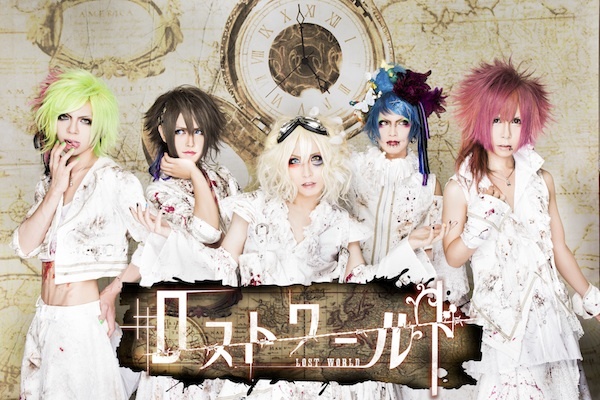 For the same price you can get their CD ねくろのまほう (nekuro no mahou) on May 11th. Their last single is entitled めとろのおわり (metoro no owari) and will be available at their live on June 15th.